Courtesy of Office Of Governor Edmund Brown. City College’s Art Court Theatre Courtyard will host Calif. Gov. 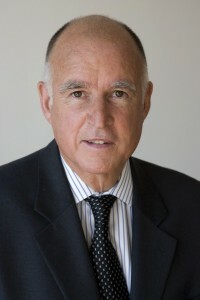 Jerry Brown on Thursday, Oct. 18, at noon for a speech about Proposition 30 and what it means for students. Proposition 30 is a measure that will appear on the ballots in the Nov. 6 election, which according to California’s official voter guide website will increase taxes on earnings over $250,000 for seven years and sales taxes by one-fourth of a cent for four years to fund schools. If the measure passes it would generate approximately $6 billion a year over the next few years for schools and public safety. If the measure is not passed, severe cuts in education for 2012-2013 would take effect. Opposition of the measure claims that the measure would mean $50 billion in tax increases but no guarantee the money will go to schools. According to Annette Barfield, City College professor, counselor and president of the Los Rios College Federation of Teachers, a positive turnout for Brown’s speech will show that City College students are actively engaged in their community, represent a large part of local citizenry, and the impact an educated society will have on the future of California. Barfield and other campus leaders are encouraging students to attend, as well as for professors to offer extra credit opportunities and class time to attend the event. This entry was posted in News, Sac City Express (SCC) and tagged American River College, Art Court Theatre, Brice Harris, Brown, california, City College, courtyard, Darrell Steinberg, Governor, Jerry Brown, Obama, Proposition 30, Student Associated Council, Taylor Valmores, voters. Bookmark the permalink.